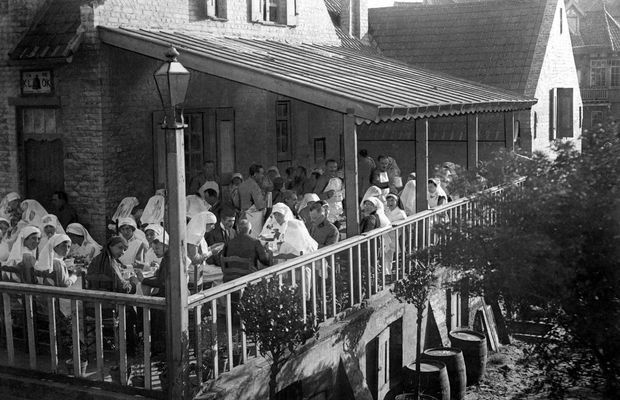 With the front stabilised, La Panne will be a place for soldiers to rest and convalesce. 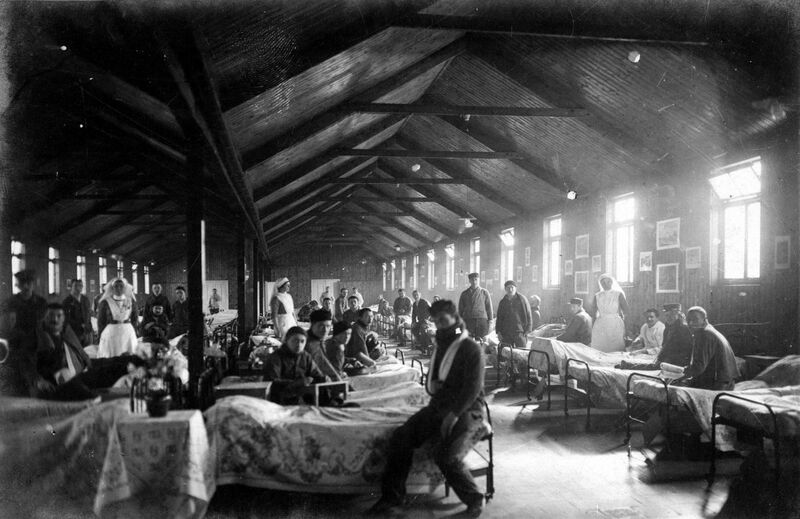 Relieved of their duties at the front, the men particularly appreciated the ability to return to "civilisation", as well as the proximity of the hospital in order to be able to visit a wounded comrade. 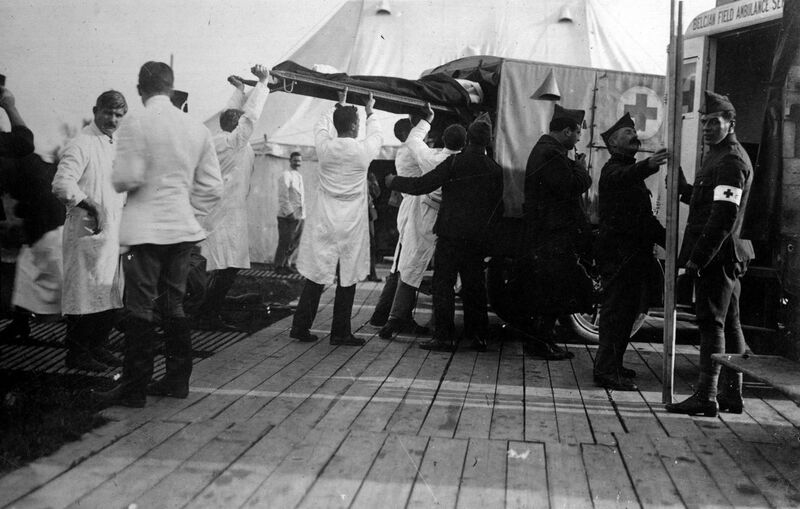 The Ocean Ambulance (during the First World War, the term "ambulance" referred to a field hospital) can be proud to have managed the lowest death rate amongst all of this war's surgical hospitals. This fact did not come about by accident, its organisation, the means implemented to provide quality care, and the skills of its personnel all contributed to this fine feat. Let's have a closer look inside the great machine of the Ocean Hospital. 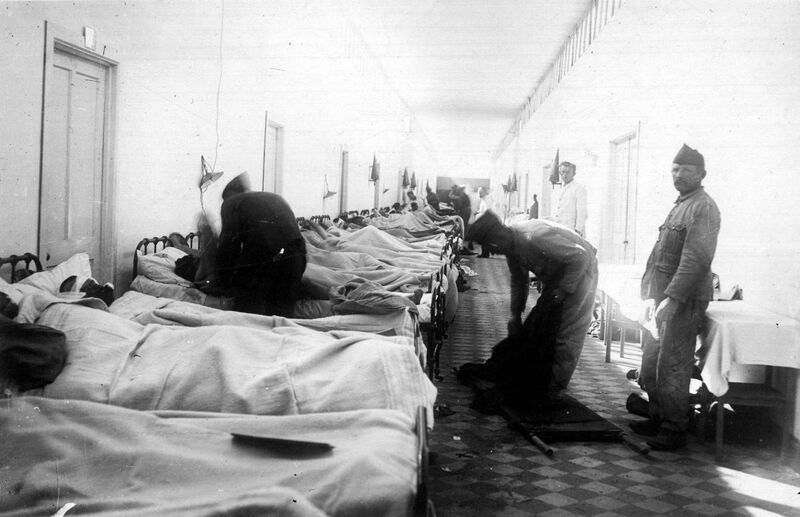 For treating the wounded, neither the Army Medical Corps nor the Red Cross anticipated the construction of front-line hospitals as part of their initial structure. At the start of the war, the wounded were therefore treated "in the rear", with all of the negative consequences that this could mean. Antoine Depage is called upon in order to organise and improve the care that could be provided to the wounded, notably by reducing the distance that they would have to travel in order to be treated. This project will not be carried out without some difficulty. In addition to technical and economic aspects, differences of opinion between General Léopold Mélis and Antoine Depage will complicate the creation of the Ocean Hospital. 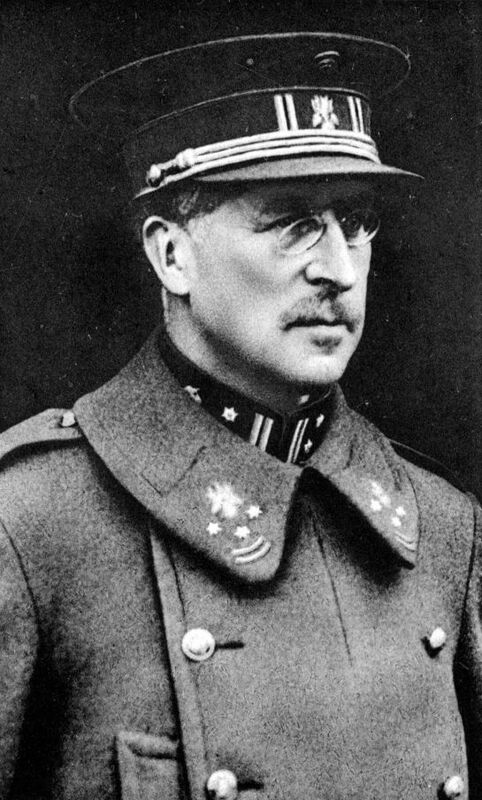 For General Mélis, also a physician and director of the Army Medical Corps, building a hospital so close to the front line was excessively risky. This viewpoint was the diametric opposite of that of Antoine Depage. Depage's character was the main reproach that could be directed at the surgeon. Rather authoritarian, wanting things done properly, he will only very rarely tolerate failings on the part of physicians and army officers. Moreover, in order to implement his ideas, he will not hesitate to bypass all regulations that he considers opposite to his scientific logic. As such "healing at any cost" could be understood in both meanings of the term. Attentive to his patients, he will demand relatively expensive installations, but that are essential for saving lives. He will have great trouble accepting, and especially understanding, the military logic that requires him to obey a less experienced physician, General Mélis, who nevertheless outranks him. 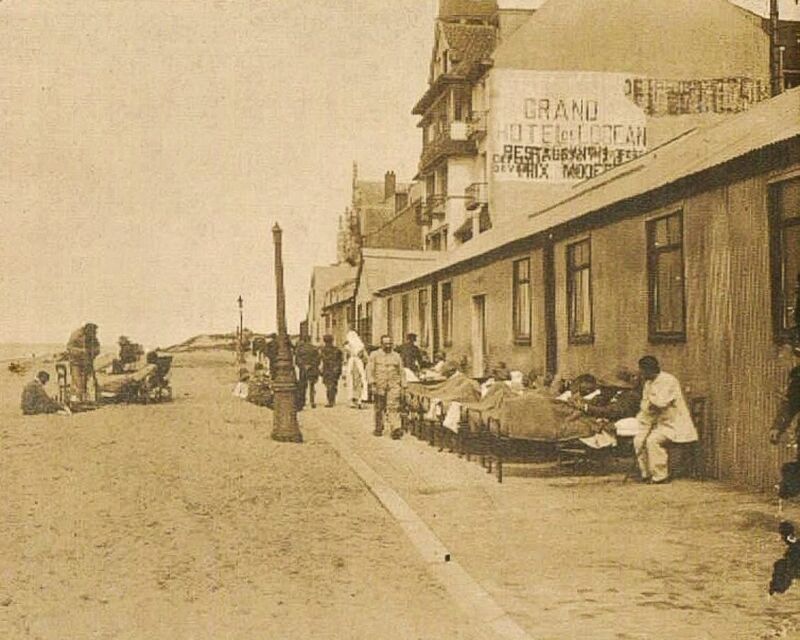 Supported by the Belgian sovereigns, Antoine Depage sets out to create a hospital in La Panne. The building requisitioned for this purpose is the Grand Hôtel de l’Océan. 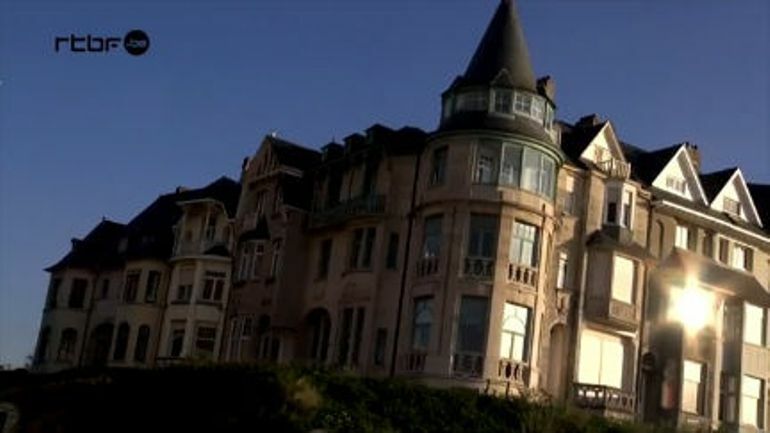 It has approximately 100 rooms, and faces the sea. There will be many problems transforming this hotel into a hospital, but Dr. Depage, a man of action with innovative ideas, does not often allow himself to be discouraged. This hospital, intended to receive tourists in the summer, has no central heating, though the future hospital, for its part, is supposed to operate all year. Antoine Depage therefore travels to London in order to overcome this problem, along with one of his former students, a physician and civil engineer. They manage to obtain a heating system originally intended for a Scottish castle, but that had not been delivered due to the war. A. Depage also takes the opportunity to repatriate medical equipment, given the limited resources on the continent. In a few weeks, this conscientious physician will transform a hotel in La Panne, located a dozen kilometres from the front, into a major surgery facility. The surgeon's strength resides in his rigourous and rational organisation. The Ocean Ambulance will be organised according to the type of injury. As such, one department will be dedicated to head wounds, another to abdominal wounds, etc. Throughout his career, Antoine Depage will always consider the training and competence of his personnel to be of the greatest importance. Each of the Ocean Hospital's departments is made up of physicians, nurses and stretcher bearers who specialise for the department to which they are attached. He justifies his choice: "In order to perform at their best, the surgeons and specialists attached to a hospital must be accustomed to their duties. It must therefore be possible to keep them within the department permanently, and if necessary, for the duration of the hostility. From a practical viewpoint and a scientific viewpoint, it is a serious error to transfer a specialist out of a hospital facility where he is providing good service, only in order to satisfy a legitimate desire of the physicians to be able, in their turn, to enjoy the benefits provided by a large hospital. If a rotation of this type is desirable, it must not be to the detriment of the wounded." This desire not to change the medical team assigned to a department will cause considerable discontent. The two main reasons put forward by physicians involved in the conflict, wanting to be assigned to the Ocean Hospital, are: the desire to once again practice medicine under adequate conditions and the desire to further their training within a hospital that will be at the cutting edge of technology for the time. This notion is confirmed by young physician Paul De Backer, who is two steps away from leaving the front and being assigned to the Ocean Hospital: "I've asked to transfer to the rear; let me be assigned to a hospital. Indeed, I'm suffering from serious discouragement at the idea that I will have to restart in medicine after the war, as I have no longer been exercising this science for two years. 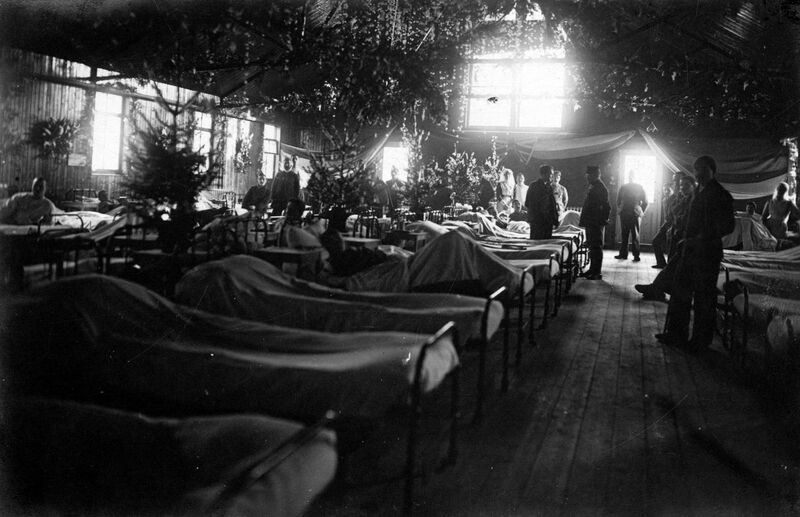 What was the point of all of my efforts before the war and all of my expenses in order to study in Paris (June 1916); despite my hope of being sent to a hospital service in the rear, nothing is showing up in the orders; what immense harm the war will have done to my medical knowledge, while others are perfecting their skills. What's the point of having displayed too much courage during this horrible war; as almost always, the work has done me no good! (…)"
For the recruiting of nurses, Antoine Depage will accept only trained nurses, or ones who have received a minimum degree of instruction. When faced with a shortage of nurses from Belgian nursing schools, he turns to highly reputed British nurses. For this project, he surrounds himself with people with whom he has already worked, whose qualities are already established. 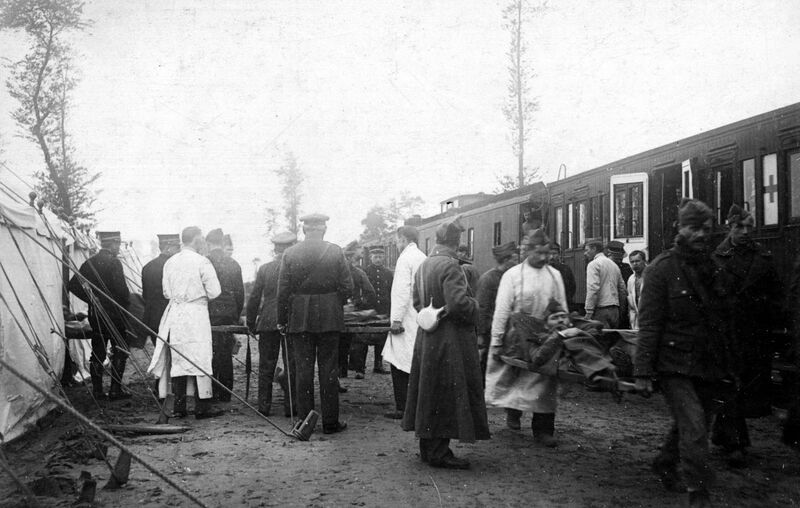 When leaving the Institut Jeanne d’Arc in Calais where an "ambulance" has been set up, he entrusts it to Dr. Neuman, with whom he worked during the Balkan Wars. As such, Antoine Depage attempts to leave the hospitals that he directed in the hands of competent people who, if possible, share a similar concept with regard to medicine. To boost the morale of the soldiers, medicine couldn't be the only tool. Sometimes, a smile was worth much more than a medical treatment. Antoine Depage will never scrimp on the means needed to treat his patients. The Ocean Hospital was second to none amongst the best hospitals of the time. It included several departments: radiology (thanks to the inventions of Marie Curie), laboratories, pharmacies containing new and modern antiseptics. The hospital therefore covers most medical disciplines, while attracting many specialists from France and England. The Ambulance therefore serves not only to treat, but also to develop medical research. For greater cohesion and the greatest possible efficiency of the medical efforts, he focuses on team spirit and responsibility. While each department head enjoys freedom of action within the hospital, thereby encouraging the spirit of initiative so dear to Antoine Depage, reports must nevertheless be submitted. A daily report from the various departments is provided during a meeting. This allows for discussions between the physicians, and an opportunity to point out any errors or anomalies identified within the hospital. Farms will be used in order to provide dairy products, and even a reserve of meat, if necessary. The hospital's specialised workshops are one of the most remarkable aspects. The appearance of terrible injuries such as the broken faces (soldiers disfigured by artillery) requires advanced surgical reconstructions. 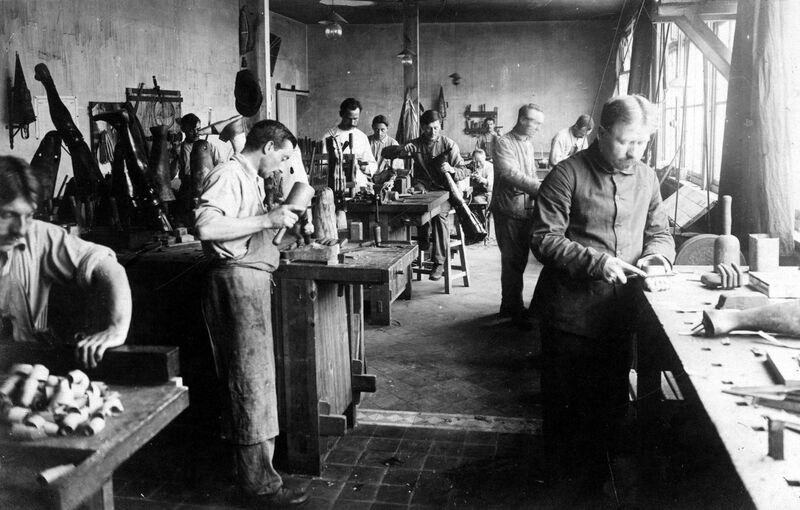 The hospital's specialised workshops manufacture, amongst other things, various types of prostheses that will provide the wounded with a certain degree of mobility. The trench war will also result in its share of illnesses. They include scabies. The soldiers at the front live in deplorable conditions. Illnesses propagate thanks to the lack of hygiene. To remedy this, at La Panne, baths are created in order to totally disinfect the soldier from the parasite of which he is a victim. As mentioned in the above paragraphs, the Ocean will attract and fascinate many physicians for the scientific work carried out there. 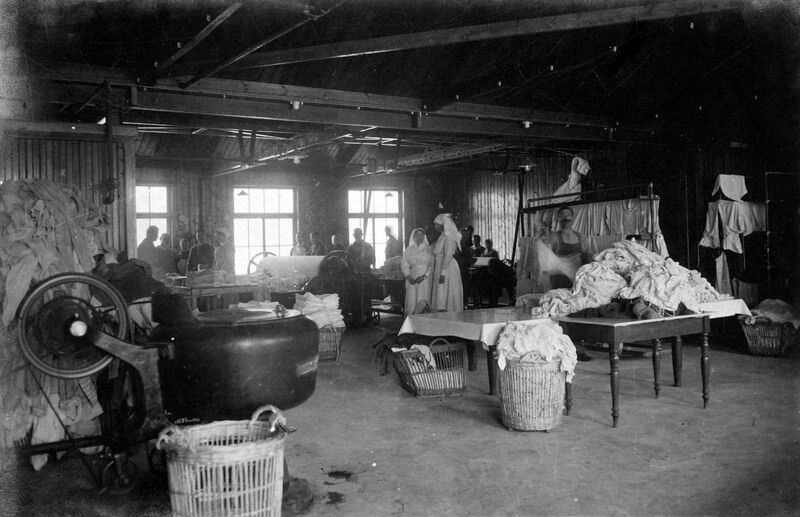 Each week, lectures were given in order to share new medical techniques or to present the new problems inherent to wartime surgery. This emulation of knowledge will result in the scientific publication of a 3-volume work entitled: "Les travaux scientifiques de l’Ambulance de L’Océan" (The scientific works of the Ocean Ambulance). The Ocean Hospital will also include a religious aspect. The war ravages churches, with no regard for religious furnishings. In October 1915, a chapel dedicated to the Catholic faith is built next to the Ambulance, in order to preserve these religious objects. To boost the morale of the soldiers, medicine couldn't be the only tool. Sometimes, a smile was worth much more than a medical treatment. With this in mind, introducing leisure activities into the lives of the soldiers could not be ignored. La Panne will organise, with the help of French artists – most of whom visited in secret – concerts and performances in order to entertain the soldiers on leave. At the Ocean, the Queen of the Belgians wanted to arrange performances by soldiers who, in the days before the war, were still artists. With the equipment in the possession of the Ocean, a small orchestra was set up in order to give performances in one of the hospital's rooms. 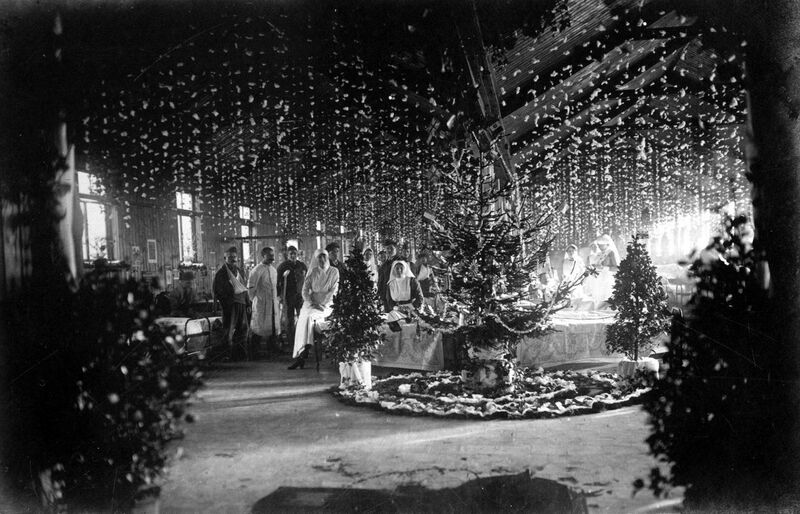 In 1917, one of the hospital's pavilions will be even entirely dedicated to performances, though its operation will depend on the number of patients. Though efforts are made to help the wounded to "forget" the war, bombardments help to keep the conflict's presence in mind. General Mélis will have considerable difficulty accepting the idea of the creation of hospitals so close to the front. As such, he will reiterate his position when the Ambulance undergoes enemy bombardments. Given the Hospital's proximity to the army's reserve divisions (resting soldiers), it will be an involuntary target of German artillery. The emptiness and grief left in the inconsolable surgeon's heart deprive him of any zest for life and desire to fight. While the quality of the care and importance of technology help to save many lives, they will also result in many budget and survival problems for the Ocean Ambulance. Just the required ambulance vehicles eat up a considerable part of the savings as a result of the enormous quantities of fuel that they require. As such, the Ocean Ambulance is required to solicit charity. 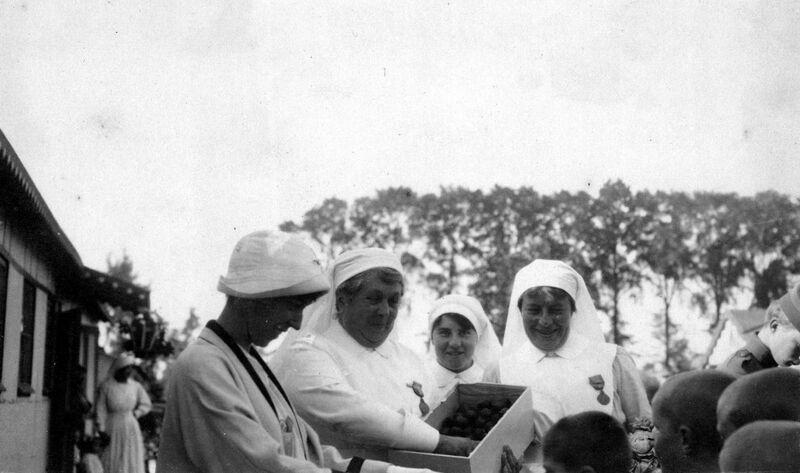 In 1914, the wards and equipment needed for the hospital's creation will be almost exclusively financed with money gathered in England by the queen of the Belgians, Elisabeth, and the Anglo-Belgian Red Cross committee in London. Though very significant, the generosity of the British is not sufficient. Antoine Depage and his wife have many contacts, including in the United States, where he has already travelled. The extreme need for money then prompts Marie Depage to undertake a mission to raise the awareness of American opinion, in an effort to secure promised donations. In January 1915, she boards a steamship heading to the United States. Her mission will be crowned with success: she collects no less than $100,000 for the hospital. 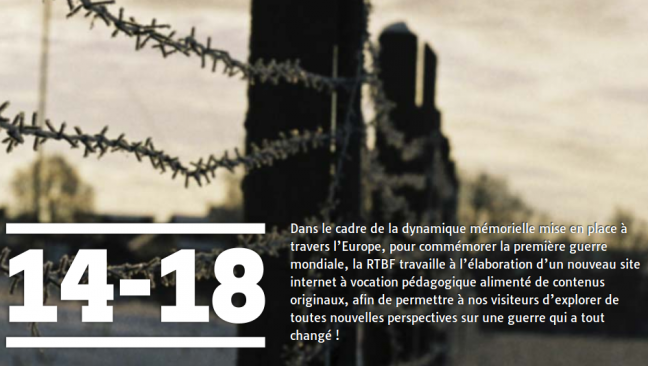 Her presentations also help to raise the awareness of the Americans with regard to Belgium's sorry condition. In the closing days of April 1915, Marie Depage is to embark on the SS Lapland and join up with a couple of friends also leaving New York. However, wishing to extend her mission somewhat, she leaves later than the initially planned date, and boards the RMS Lusitania. Antoine Depage travels to England to meet his wife, arriving in Liverpool. Catastrophe strikes on 7 May 1915, off the coast of Ireland, when the steamship Lusitania is torpedoed by the German submarine U-20, with the loss of 1100 lives, including Marie Depage. The Lusitania will become a symbol, a martyr to German barbarity. The fact of sinking a boat carrying civilians (including Americans) will be very poorly received by public opinion, and will have an impact on the commitment, in 1915, of the previously neutral United States. However, in 1972, the British confirmed that the ship had been transporting considerable munitions, and should have been escorted by a Royal Navy cruiser. The young commander of the U-20, Walther Schwieger, 30 years of age at the time of the event, knew that it was also impossible to think such a ship with the few torpedoes still at his disposal, his hope was simply to immobilize it. To his great surprise, a single torpedo did the job. Strangely, two explosions were heard. The first after the torpedo's impact, and a second much more powerful explosion. This was caused by the munitions carried in the Lusitania's hold. The German commander will be blamed by his own government for this attack. Germany's image is severally damaged by this torpedo attack, which was the great fear of the German government. The Lusitania's commander had been warned of the presence of a German U-boat off the Irish coast, and was vainly waiting for the protection that had been promised to him. The British were therefore aware of the risks of the crossing, and many mysteries still remain with regard to this shipwreck. It is impossible to describe the great pain felt by the surgeon upon learning that his wife was one of the victims. He cannot help but think back to all of the moments that had been shared with his wife. She had truly completed him, she had gone to solicit donations in order for his project be viable, she was every bit of a devoted spouse, and wonderful mother. The emptiness and grief left in the inconsolable surgeon's heart deprive him of any zest for life and desire to fight. A. Depage is alone, with no more family, two of his sons are at the front, and the third in occupied Belgium. He retrieves his wife's body, that is buried at the peak of a dune facing the sea. At the end of the war, she will be buried in this new free Belgium, for which she had worked so hard. In memory of his spouse, a section of the wards intended for research will be baptized as the "Marie Depage Foundation". In these circumstances, he could count on his staff and on the great appreciation of the sovereigns. The Queen of the Belgians often visits the patients at the Ocean Hospital, while making every effort to motivate its entourage. Knowing that the best thing in order to boost the physician's morale would be to see one of his sons again, the Queen initiates the necessary steps in order for Henri, the youngest son, to return to his father's side. The joy of the reunion will be immense. Henri Depage discovers the entire installation of the Ocean Hospital with great admiration, and even participates as an apprentice in the creation of prostheses. This war spares no one, and bad news is never in short supply. In October 1915, Antoine Depage suffers another hard blow. The nurse whom he had appointed to run his nursing school is executed by the Germans. This English nurse was none other than Edith Cavell. But he will not allow this to bring him down, and will continue to fight in his own manner, i.e. "by saving lives". The Ocean Hospital will be the greatest Belgian and international success. In view of its efficiency and technical advances, this Ambulance will become a model for the Allies. After the Ocean's creation, many hospitals will be created according to the same characteristics, namely proximity with the front. Despite difficulties, Dr. Depage and his personnel always maintained their morale. Though saddened by the loss of his wife, he remains in his position. Today, a small and discreet commemorative plaque remains at the site of this majestic Ambulance. The many testimonials are one of the ways that we can pay homage to all of these people who worked unceasingly in order to ensure the continued existence of what so many men had sought to destroy.